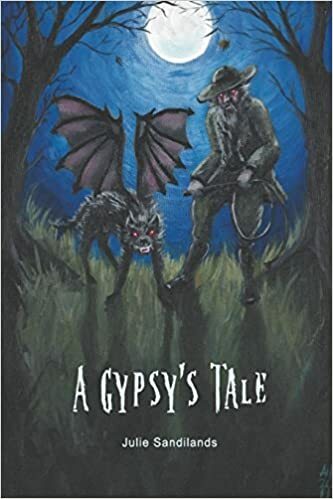 Tale Series Book 2 Take an action packed adventure, add a sprinkle of magic, a pinch of Cumbrian myths and legends, and a smattering of beasties - the end result: A Gypsy's Tale! Ryan is a young Gypsy boy: the year is 1967. After being banished from Tyndale by the angry villagers, he and the other Gypsies head north and set up camp in Appleby, traditionally a safe haven for the travelling community, especially in June when the annual Horse Fair is held. Ryan befriends Hawkeye, a local gamekeeper’s son and is quickly made aware that something sinister lurks in the countryside surrounding the quiet town. Forming an unlikely alliance with Ed and Ollie, (two local badgers), the boys find themselves lost in a world of intrigue and suspense. Between them, the comrades have to uncover the true mystery behind the evil, and try to stop it before it threatens not just the countryside, but the inhabitants of Appleby itself. A cracking good read for both adults and children. castle were also playing on his mind. Keeping his fears locked deep inside was not helping, and as much as he tried, he could not make sense of what had happened. Telling either of his parents was not an option and as much as the experience had frightened him, he did not want to be kept indoors any longer than necessary. Freedom did come, but not in the way Ryan had anticipated. It was Sunday afternoon when his mother announced they would all (looking directly at his father) be going to church.